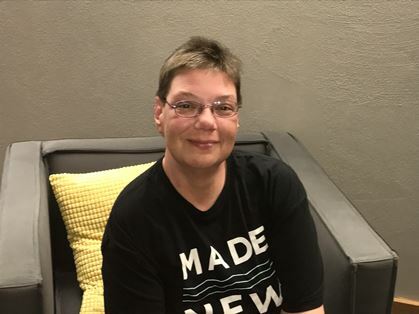 Cara is a new believer and attends Journey Church in Kenosha, WI, a Blessity partner church. Cara has suffered through a lifetime of medical hardships. In her 20’s, Cara suffered through and survived both uterine and ovarian cancer. Three years ago, she suffered a heart attack and learned that this had been caused by a rare disease called Pulmonary Hypertension, resulting in severe damage to her heart and lungs. Cara is now on the waiting list for a triple organ transplant. While Cara waits for her transplants, she has to continue to take costly medications. Though most is covered by insurance, she has a large deductible to meet at the beginning of the year. This has caused her to slip behind on rent and currently, she faces possible eviction if she does not catch up on the $3,000 she is behind on rent. Blessity.org has been asked by Cara’s church to raise the funds to cover her past due rent and keep her in her home. Let’s come together and bless Cara during this difficult time. Please consider donating and sharing this need with others. Remember, 100% of every donation goes directly to helping Cara.